OPEN UP AND SAY… YUM! Scream if you love 80’s Hair Metal? I can’t hear you. Scream louder! For this NY Burger Week event, we are pulling out all the stops and hope that you will too. 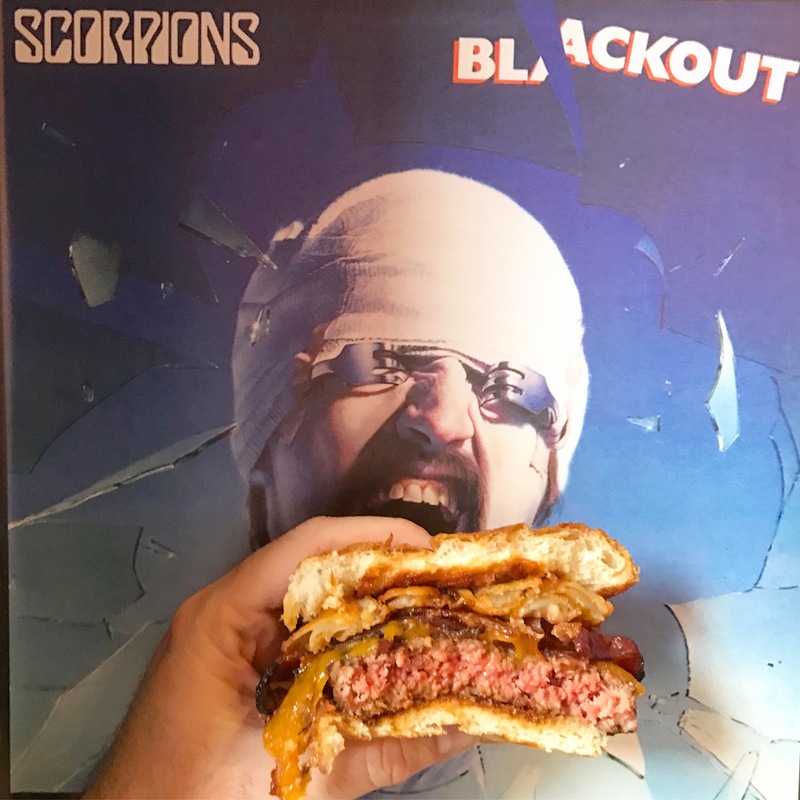 If you love Poison, The Scorpions, Def Leppard, Motley Crue, Guns N Roses, Twister Sister and the like, plus you are just one crazed Burger fanatic, then this event is for you. 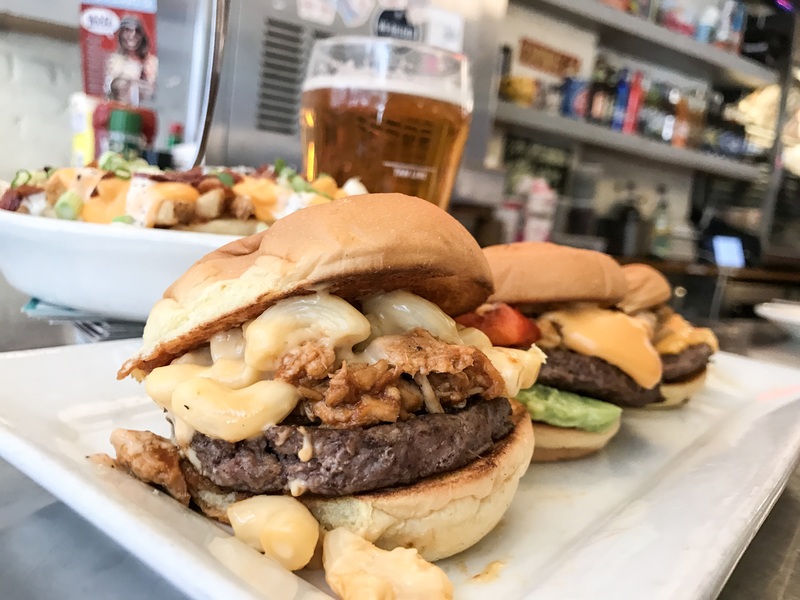 You’ll be served 3, off-menu, 80’s hair metal themed Burgers as well as a an order of loaded fries that has enough virtual hairspray that you better not flick on a lighter. You’ll also get your choice of one craft beer from Duke’s draft beer. Added bonus, Duke’s will have the brand new Anthrax “Wardance” Pale Ale from Butternuts that was brewed in collaboration for the band. Way Cool Ranch Seasoning Jr. Starting at 8:30 and running until about 9:30, we welcome in the baddest air guitarists in the big apple for an official US Air Guitar Championships Qualifier. 2 talented air guitar masters will advance on to the next round. Winners win $50, a $30 Duke’s gift card, a pitcher of beer and best of all … a spot to compete in the US Air Guitar Semifinals at the Knitting Factory on July 7th! If you think you have the air skills to pay the air guitar bills, enter to be a contestant here! If you just want to rock out with your Burger out, get your ticket now! Purchase your tickets based on which seating you would like to attend. Keep in mind that you might not be able to see the entire US Air Guitar show from your table. 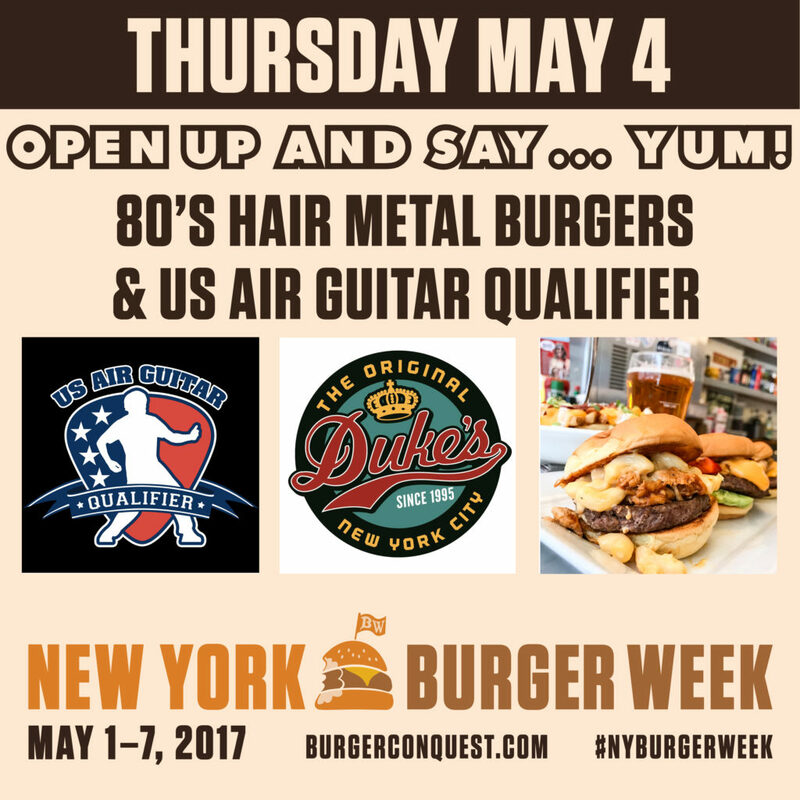 This entry was posted in Burger Week, Burgers, New York, NY Burger Week and tagged 80s Hair Metal, Anthrax Wardance, Dukes Original Roadhouse, NY Burger Week, NY Burger Week 2017, US Air Guitar. Bookmark the permalink.